LEGEND-MENA was established mainly to operate as a regional distributor for Metropolis Technologies, offering to its channels and partners the most advanced and award winning Telemanagement solutions that is compatible with most of the available Telephony and Unified Communication systems. Armored with superior solutions and up to the level support provided by Metropolis, LEGEND-MENA and in a very short time was able to penetrate several markets in the region and establish a strong presence in such through cooperating and working with channels and partners that proved to be a big added value to LEGEND-MENA and its operation. In markets saturated with all kind of Telemanagement solutions, LEGEND-MENA position itself in a different level than others by providing strong, stable, advanced, feature rich solutions. LEGEND-MENA with its trained and professional technical support, is only a phone call away from the customer, offering real 24*7 technical supports to all of it customers, channels and partners. It all started with ProfitWatch. In 1993, there was a need for an accurate call accounting program that hotels could use without a lot of training; something powerful, but so intuitive, you didn't need a rocket scientist to run it. The lightbulb went off, and Metropolis Technologies was born. Since then, Metropolis Technologies, Inc. has produced superbly engineered, award-winning call accounting software applications for both the hospitality industry and general business. 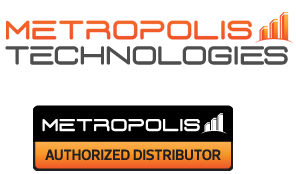 Metropolis Technologies have headquarter offices in Fort Lauderdale, Florida, which was strategically located, providing service and support to distributors, reseller partners in North America, and around the globe. Due to their ease of use, flexibility, unique features and reliability, OfficeWatch Telemanagement for Business and ProfitWatch Hotel Call Accounting have been installed in several thousand sites, making Metropolis Technologies a leading call accounting provider throughout North America. Metropolis' varied customers include hotels, resorts, casinos, call centers, hospitals, school districts, universities, government agencies, military bases and Hollywood studios, among many others. Versadial Solutions was one of the first companies to design and develop an affordable voice recording solution that meets the needs of many market sectors. Versadial call recording software provided businesses around the world with the capability to easily integrate call recording solutions into their computer and telephone systems. With the Adutante , Versadial Solutions merged call recording monitoring, screen capture and desktop analytics in an integrated, easy to access web application platform. Mushroom Networks, Incorporated, is a San Diego, California-based company with the mission to provide innovative networking solutions. Mushroom products and services are focused on a range of networking solutions for enterprises and small/medium sized businesses in various industries. Mushroom Networks’ products are based on the unique and patent pending Broadband Bonding® technology developed by our engineering team through extensive research and development. Red Box Recorders is a global provider of voice and data recording solutions that solve often technical and complex business challenges in the most simple and effective manner possible. The company’s innovative and proven software enables the capture, authentication, analysis and evaluation of multimedia communications from a wide range of data sources including fixed-line and mobile calls, radio, screen, SMS, instant messaging and social media.